Ideas for you and your pooch, from puppy training to dog-friendly outings. 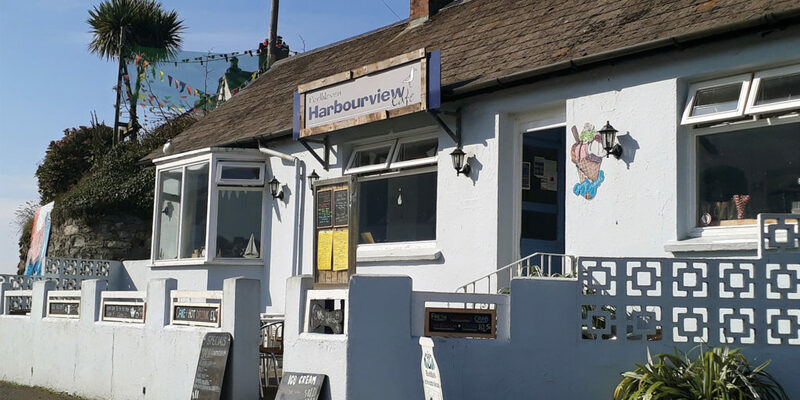 With loads of great dog walks on its doorstep, whether you choose to go west to Praa Sands or east to Gunwalloe, The Harbour View Café makes the perfect pit stop during your coastal adventures. Open from 10am until 3pm, the café is located in Porthleven at the base of the South West Coast Path (towards Praa Sands) and is extremely dog friendly. 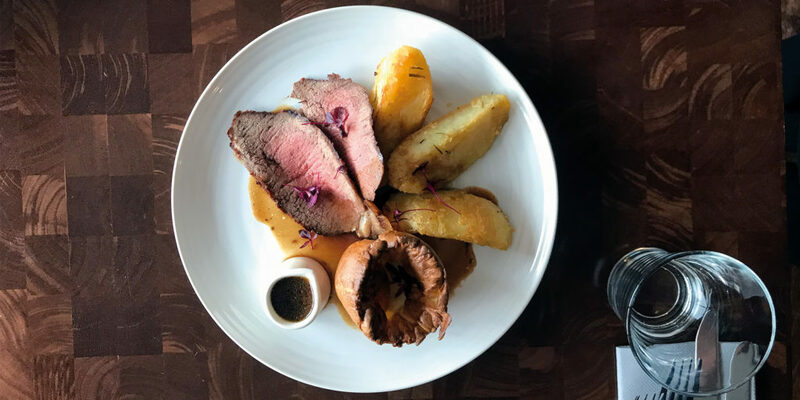 It also enjoys scintillating views over the iconic and typically Cornish harbour, making it a great spot to enjoy some local fayre while your dog curls up beneath the table. 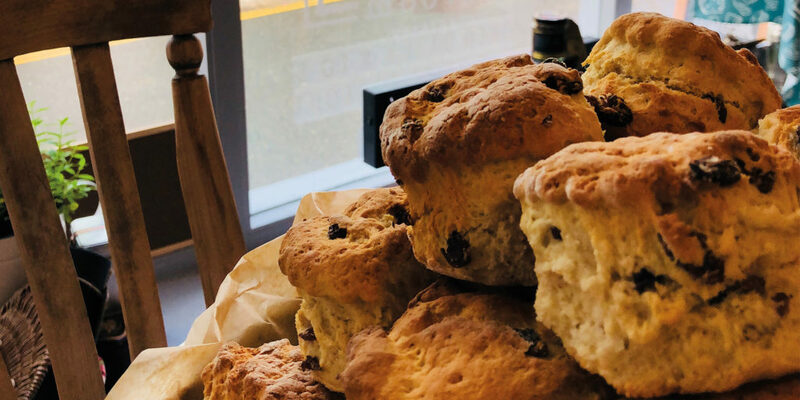 Enjoy your breakfast with a complimentary drink of your choice; catering for all dietary requirements, the homemade soups, cakes and cream teas are already a firm favourite among locals and visitors alike. For more information call 07498 613280 or visit Porthleven’s Harbour View Cafe on Facebook. Nestled in the heart of picturesque Polperro you’ll find The Claremont Hotel. Owners Juliet and Stuart Horton tell us: “We welcome dogs into all areas of the hotel and provide a doggy welcome pack to our canine guests as well as a complimentary sausage at breakfast!’ The South West Coast Path is only a five-minute walk away and if you’re up for a hike then Hannafore beach, Lantic Bay and Seaton beach are all one to three hours’ walk away (or a short drive) and allow dogs all year round. Or, head to Kilminorth Woods to enjoy miles of ancient woodland and nature reserves. Back in Polperro there’s a brilliant local dog-supplies shop and lots of dog-friendly pubs, restaurants and cafés to enjoy. Teacup Tearoom really does cater for everyone! 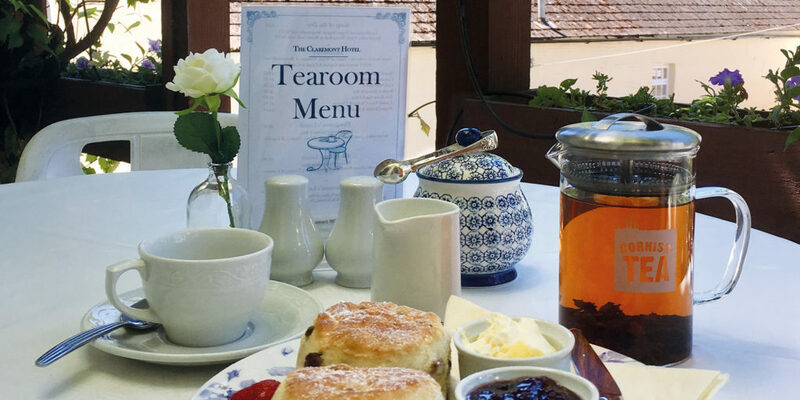 Nestled among the picture-perfect streets of Mevagissey you’ll find Teacup Tearoom. 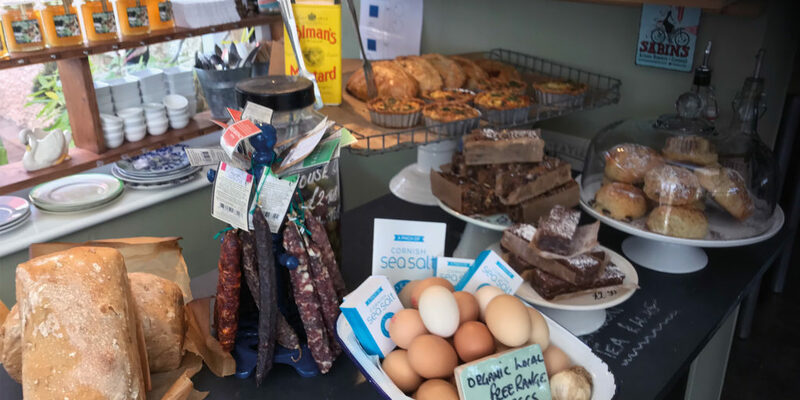 This tearoom really does cater for everyone with a great selection of non-dairy, gluten free and vegan products available that aren’t sold at elevated prices, as well as providing beds and treats for your furry friends. We did a little digging and found this review from one happy customer: “There were lots of vegan cake choices… a range of milk alternatives and the service and welcome were amazing, plus takeaway packaging is compost friendly and juice is served in glass bottles so no plastic waste seen here!” So not only is the Teacup Tearoom aware of different dietary requirements, it’s also environmentally aware and dog friendly – it certainly ticks all our boxes! Sometimes, our beloved four-legged friends need a little help to point them in the right direction. 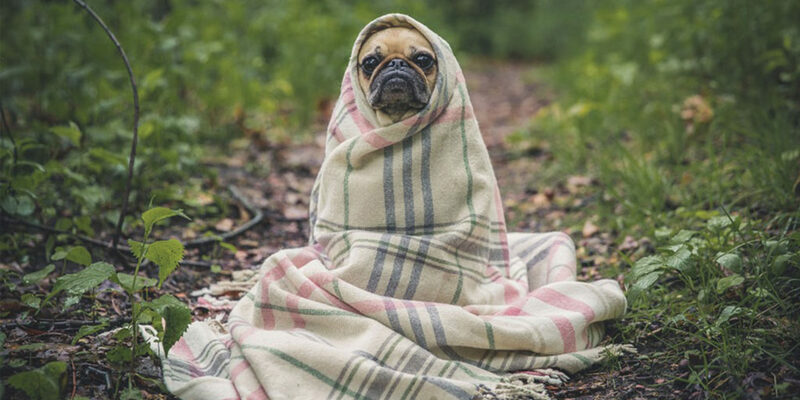 Aggression, anti-social behaviour, barking, destruction, recall problems, jumping up – just some of the common issues that many dog owners face. Enter Bark Busters, drawing upon almost three decades of experience in helping dogs and their owners enjoy a happy, safe and stress-free life together. 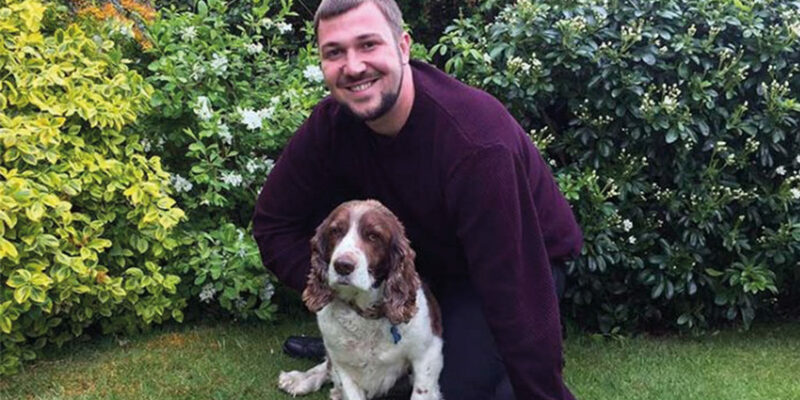 Ben Jordan, Cornwall’s dog training and behavioral therapist, can often be found walking the countryside with his springer spaniel, Raffa. Simply give Ben a call to arrange a one-to-one session. With a very high success rate, doggie behavioral problems could be a thing of the past. If you’re thinking of getting a new puppy, a session with Ben is also a great way of starting the way you mean to go on, so you can get out and enjoy the great outdoors in confidence. 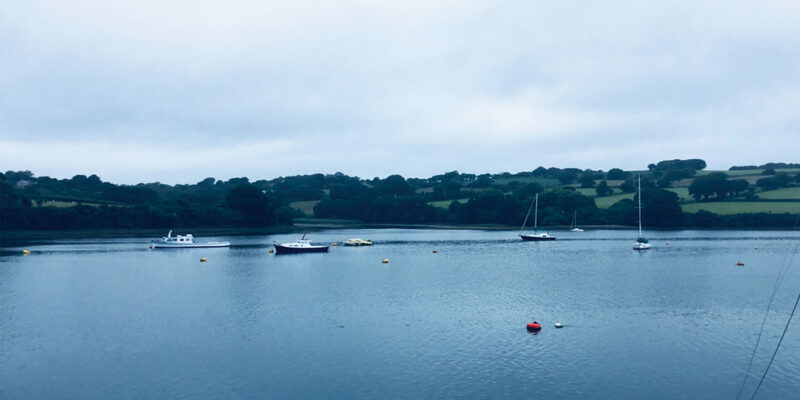 Located on Falmouth Road and part of the Pants Cancer Charity, The Waterside Café has beautiful views across the river to Flushing, and is a tranquil place to enjoy hearty breakfasts, light bites and scrummy cakes with Puro Coffee. Then on Friday evenings the café transforms into an authentic Arabian restaurant, with Head Chef Zaher serving a menu packed with traditional Arabian flavours. Eat in for £20 per person or enjoy a takeaway, Zaher also provides his menu for your home or parties for upwards of 20 people. 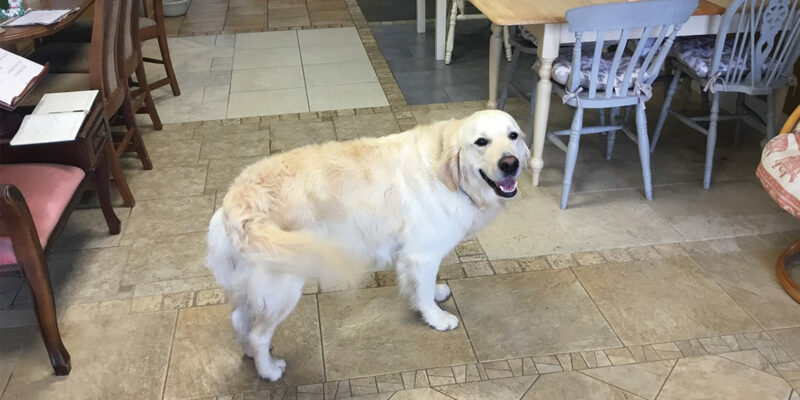 The café welcomes your canine companions and is happy to provide a doggy dinner too. Plus, on the second Wednesday of each month, (this month occurring on the 10th October) the café hosts a Cornish Folk Night from 7.30pm with all welcome to join in. For more information call 01326 374438 or visit Waterside Café on Facebook. Situated in Downderry, just up the coast from Looe, the boutique and stylish Blue Plate Seafood bar, Grill & Café promises a warm welcome and friendly, relaxed service, with a tempting brasserie style menu full of seafood, sourdough pizzas, continental style delicatessen, Cornish cheese and charcuterie and artisan coffee. Dogs are more than welcome on the terrace and in the deli at Blue Plate, making it a fantastic place to stop and refresh yourselves, either inside or out. The team is also planning a Christmas doggie lunch, where you and your furry friend can each enjoy a meal to celebrate the festive season. It even includes dog-friendly gravy and ice cream! Space is limited so make sure to book your spot soon! 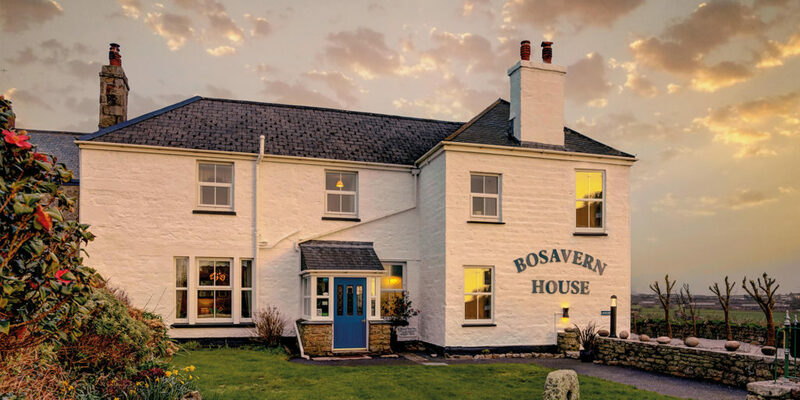 Bosavern Guest House came under new ownership last year, when Martin and Helen Stevens took on the business, along with their dog Lulu. 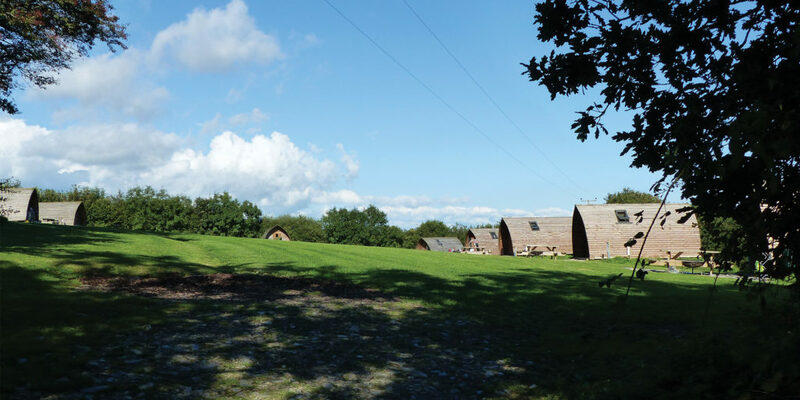 Ideally situated in the beautiful Cot Valley, it’s perfect for a holiday with your dog, with easy access to the South West Coast Path, which in turn offers endless miles along which your dog can sniff and roll to their heart’s content. Martin and Helen offer self-guided walking holidays in west Cornwall, with sample walks including those from St Just to Porthcurno, St Ives to Zennor and Sennen Cove to Lamorna. They cover several sections of the South West Coast Path, offering the advantage of being able to return to their comfortable bed and breakfast every evening via their collection service. Prices include breakfast, packed lunch and an evening meal, plus transport to the start and end of each walk. Available between mid March and mid November, Martin and Helen warmly welcome anyone who wants to make the most of west Cornwall on foot. They have dog-friendly rooms too, so your furry friend needn’t miss out on your Cornish adventure! 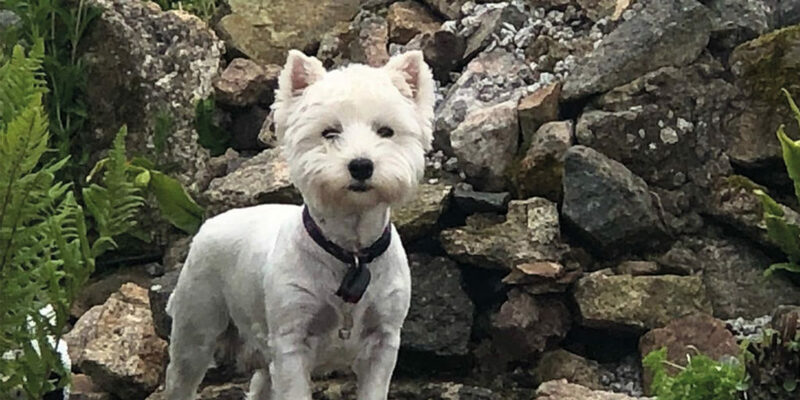 Ideally located close to the beach and set within five acres of lush gardens and lawns, it’s not surprising that dogs love The Falmouth Hotel – especially considering that they’re treated as VIPs from the second they arrive. They even have their own welcome pack including: a comfy padded bed, a personal food and water bowl, scrumptious treats, along with reading material with advice on where to go for the best dog-friendly beaches and walks, as well as other exciting places to visit. So, make sure to book now and enjoy a dog-friendly stay; your pooch can even stay for free if you quote ‘Dogs Love The Falmouth Hotel’ when booking and bring a copy of this advert when you arrive! 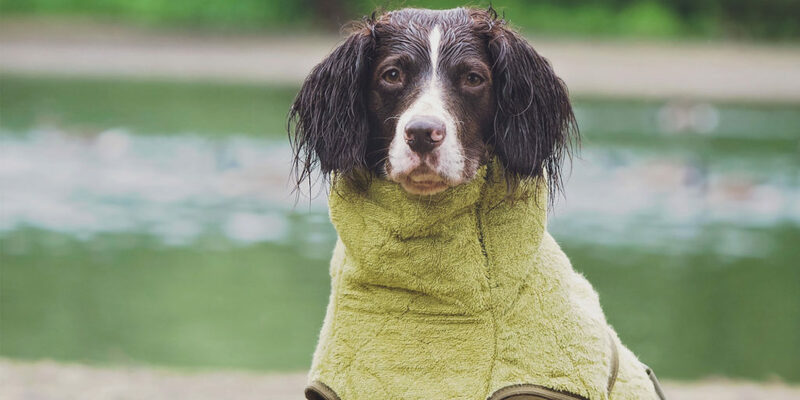 If you’d love to experience Cornwall’s great outdoors, outdoors, then Penbugle Farm has got you and your pooch covered! With its warm and comfortable Wigwams, glamping just became even more luxurious. Located in a small grass paddock behind the farmhouse, each sleeps four to five people and has electric lighting as well as a panel heater and standard UK plug sockets. Each is complete with added home comforts such as a kettle, toaster and a fridge plus an outdoor picnic table and decking. These are a great all year round alternative to a hotel or B&B, letting you get right up close to nature, with it being literally right on your doorstep. For more of a traditional camping experience with your pup, bell tents are also available as well as tent pitches. Each bell tent is pitched on wooden decking to keep off the ground in wet weather and to add a little more to that glamping experience. Like the Wigwams, the bell tents sleep up to five people and are provided with memory foam futons and cotton rugs to add extra comfort. 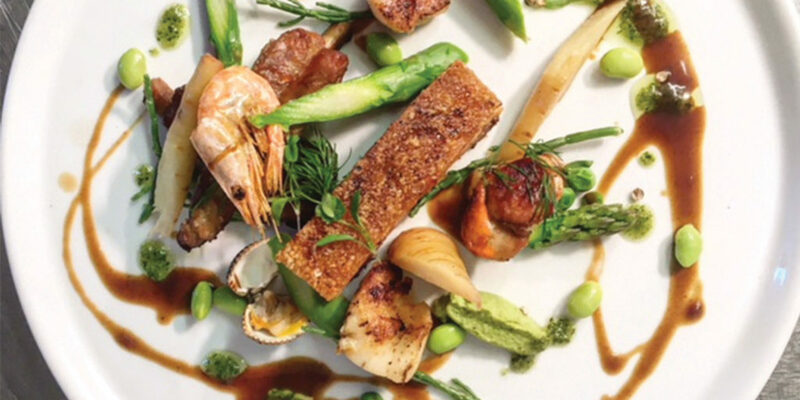 Catch Seafood Bar & Grill on Mawgan Porth Beach has really taken the area by storm, attracting A-listers this season including Richard and Judy, Kevin and the team from Grand Designs and even a very complimentary Gordon Ramsay! Catch is open for winter weekends, school holidays and all day, every day from Easter until November. Oh, and did we mention it’s dog friendly?